Jen Christensen speaks during a lecture sponsored by the Daniel H. Renberg endowment. Renberg’s donation will also endow a position within Medill for a faculty member who specializes in the coverage of sexual and gender minorities. The Medill School of Journalism, Media, Integrated Marketing Communications is looking to fill a new chair position specializing in media coverage of sexual and gender minorities. The Daniel H. Renberg Chair — one of the first of its kind — was created through an endowment from the estate and partner of the late Renberg (Medill ’52). The faculty search committee expects to fill the position by September, according to Medill Prof. Douglas Foster, the chair of the committee. The committee met last spring and over the summer to narrow the list of more than 60 applicants down to five finalists, Foster added. Committee member and anthropology Prof. Mary Weismantel said candidates will be able to define the position however they wish. The Renberg endowment has also sponsored an inaugural series of five lectures for students and faculty. 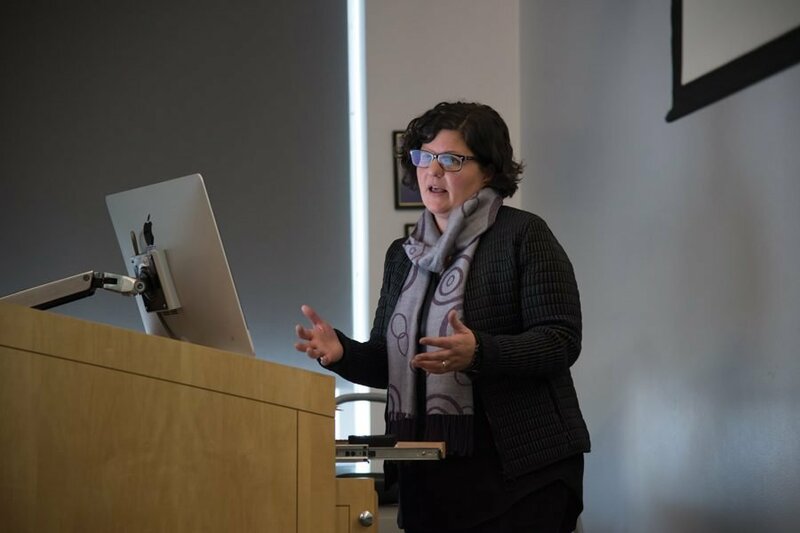 Jen Christensen, president of the Association of LGBTQ Journalists and editor and producer at CNN, held her lecture Tuesday in the McCormick Foundation Center. About 15 faculty and students attended. Christensen spoke about how students can better cover sexual and gender minorities and the impact the Daniel H. Renberg Chair can have on this coverage, including potential partnerships and projects. Among other opportunities, the chair could “pair up with visual students to shoot stock images for the (queer) community,” she said. The fifth and final lecture will be held Jan. 16 by Jason DeRose, Western Bureau Chief and senior editor at NPR News. Medill junior Matthew Zdun has attended all four lectures so far and is planning to attend the fifth. He said the position could empower students to take on stories about the queer community.